I try and get down to Gower in South Wales at least once a year. It’s got the lot as far as landscape is concerned. There are hills, valleys, woods, caves, rivers, and above all beaches and cliffs. The fabulous thing about Gower is that it’s all in a relatively small area. After double checking the tide times, (vital, as the tide comes in like a steam train! ), I walked out over the mussel beds to take a closer look, and a few photos of course. 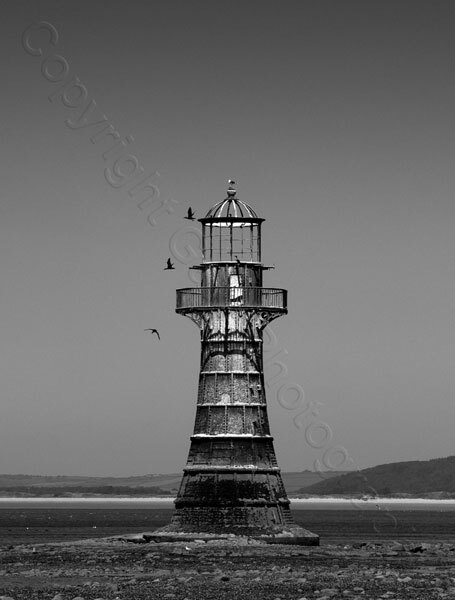 I had seen that there were some cormorants perched in various places on the lighthouse. As I pressed the shutter button they flew off. It makes the shot much more interesting. Another favourite Gower location is on the top of the Cefyn Bryn ridge. It’s a great place to watch the sunset from. 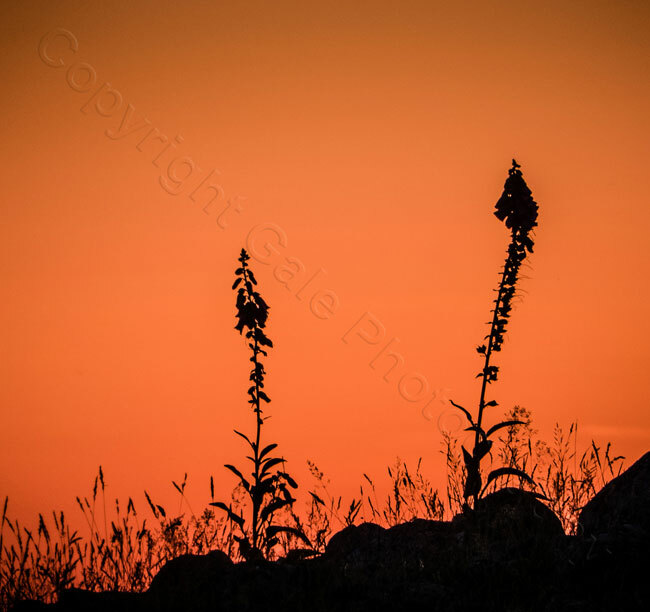 Here some foxgloves and grasses on an ancient stone cairn are silhouetted against the just post-sunset sky. It’s always worth looking at the details as well as the broader view. Of course, sometimes the broader view is the thing to go for. One of the finest bits of coastal scenery in the UK can be found at Three Cliffs Bay on south Gower, shown here at high tide just after sunset. Gower has one of the largest tidal ranges in the world, so it changes hugely as the tide goes in and out. The long swoop of Oxwich Bay in the background takes us to a return line along the water. It’s a 5-shot stiched panorama from a compact camera.